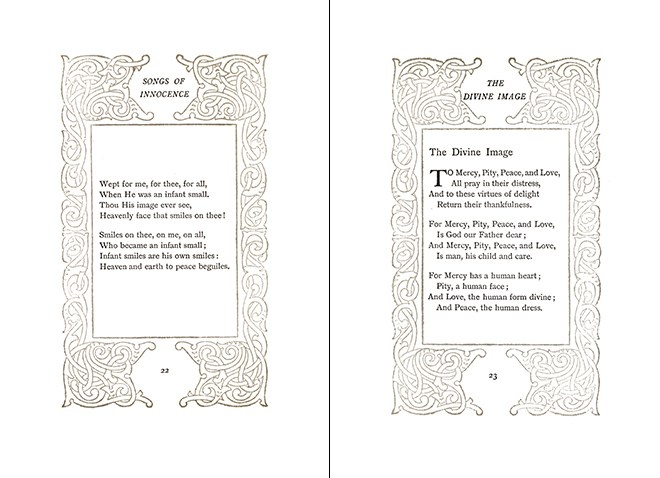 Originally published in 1912, Songs of Innocence, was written by the legendary William Blake (1757 – 1827), and illustrated with the stunning drawings of Honor Appleton. 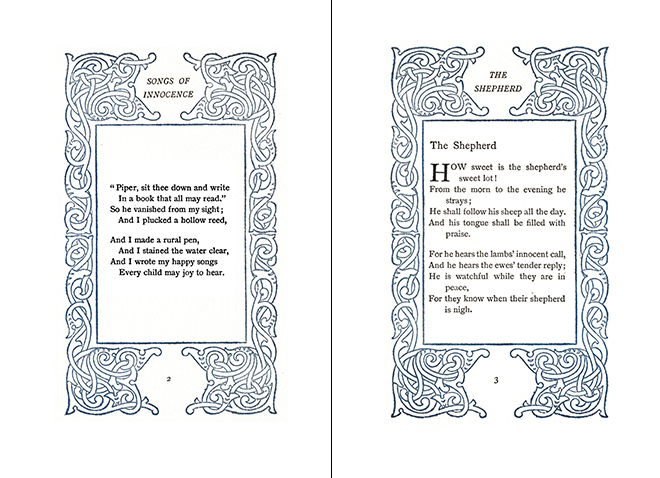 It is a collection of nineteen poems, including of ‘The Lamb’, ‘The Blossom’, ‘Night’, ‘Spring’, ‘Nurse’s Song’, and ‘The School-Boy’. 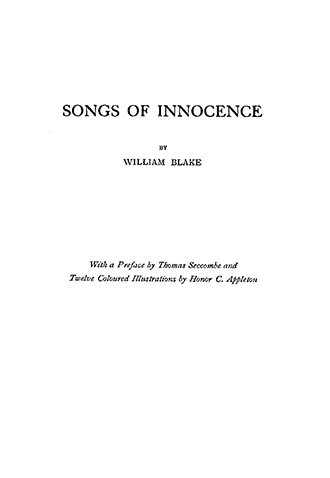 The prequel to Songs of Experience, this book redefines our traditional notions of ‘paradise’ and ‘the fall’ – representing childhood a state of protected innocence rather than original sin, but not immune to the fallen world and its institutions. 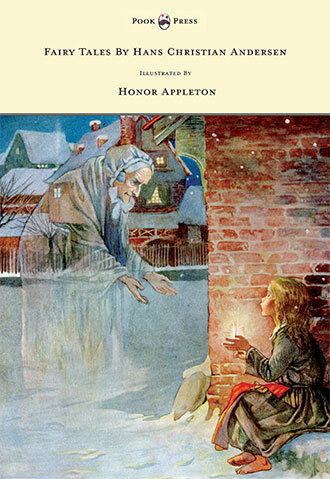 Honor C. Appleton (1879 – 1951), was a master of the trade. 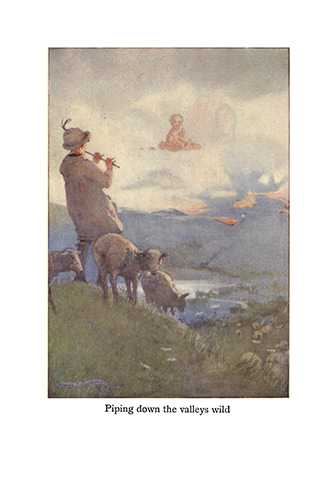 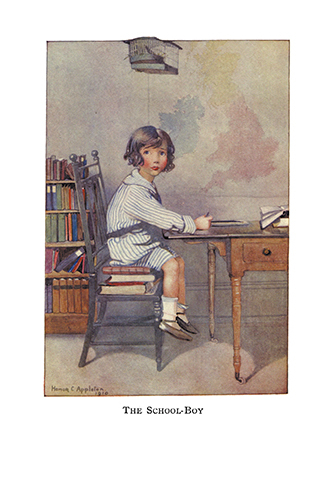 During her lifetime, she illustrated over one-hundred-and-fifty books, with her most famous works including Our Nursery Rhyme Book (1912),Charles Perrault’s Fairy Tales (1919), and the collected Stories of Hans Christian Andersen (1922). 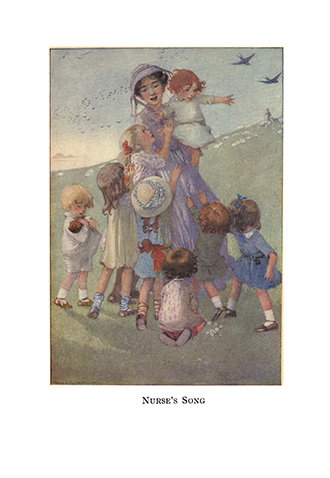 As her career progressed, she began producing bolder images for literary classics, Songs of Innocence being a prime example of this progression. 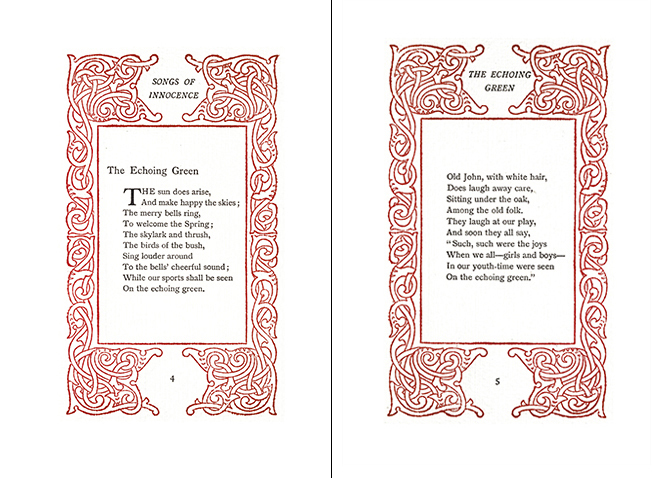 Presented alongside the text, Appleton’s enchanting creations serve to further refine and enhance William Blake’s masterful poetry – making this a book to be enjoyed and appreciated, by both young and old; ‘innocent’, and ‘experienced’. 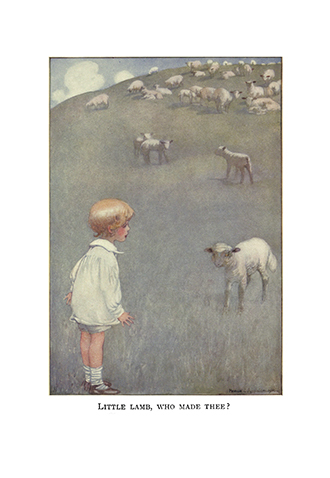 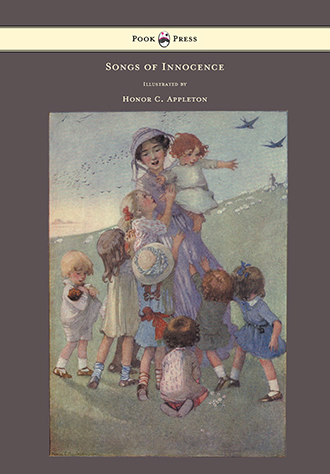 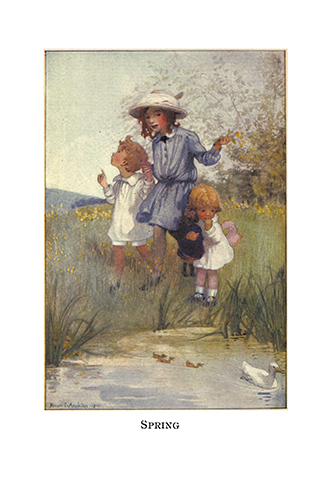 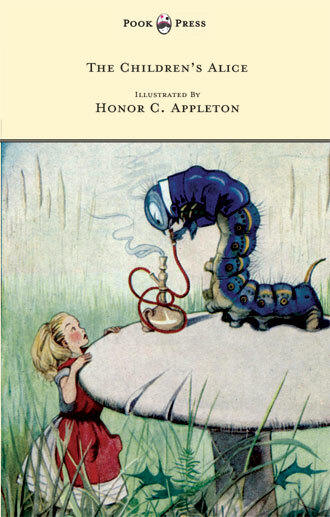 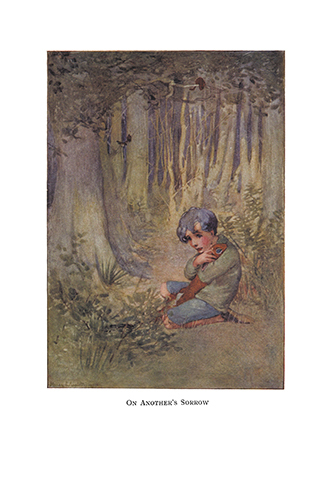 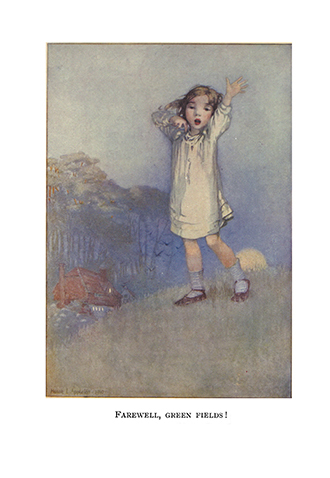 With works such as Songs of Innocence – Illustrated by Honor C. Appleton, Pook Press celebrates the great ‘Golden Age of Illustration‘ in children’s literature – a period of unparalleled excellence in book illustration from the 1880s to the 1930s.